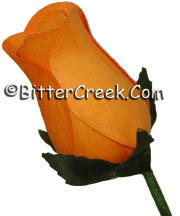 Our delicate, hand crafted, AromaMagic� Wood Flowers look very realistic & last forever! Never worry about your beautiful roses wilting again, these make great keepsakes and gifts that will last much longer than real cut flowers. Lightly mist the wood flowers with any of our fragrance oils in a spray bottle to scent. Be careful not to over saturate the petals as they can fall apart if too much fragrance oil is used. Spray evenly with a fine mist so as not to leave visible oil spots. Be aware that some fragrance oils may cause discoloration, so we recommend testing each fragrance on a single flower before making a large batch. Do not dip or submerse the flower in fragrance oil! Sell refresher mist in a 1 or 2 oz spray bottle or in a glass dropper bottle for customers to freshen their flowers! White Elastic Cord (5 yds) *NEW for 2019!